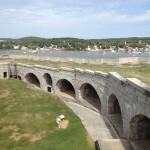 Penobscot Narrows Observatory and Fort Knox State Park; Prospect, ME - Take a day trip! 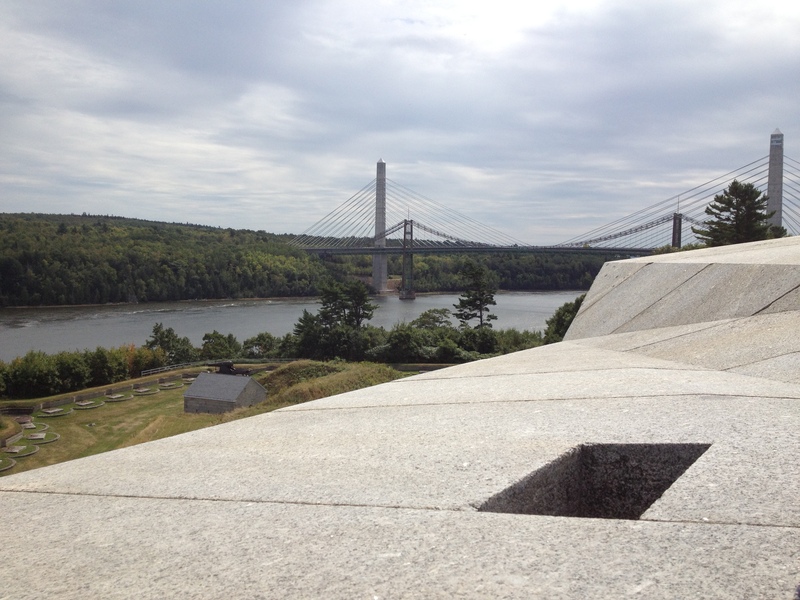 Park Summary/What to do here: Penobscot Narrows Observatory and Fort Knox State Park are two great attractions in one place: an observatory on top of one of the pylons of the newly-constructed Penobscot Narrows Bridge and the restored Fort Knox site and small museum. Both are a lot of fun and are very kid friendly. 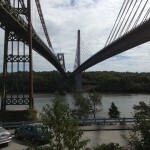 Penobscot Narrows Bridge in Prospect, Maine that carries US Route 1 up the coast. 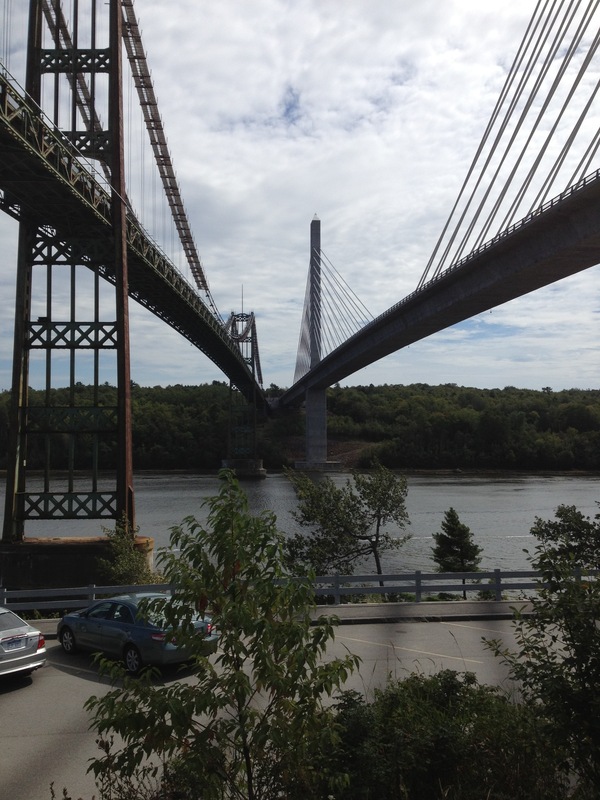 The observatory, located over 400 feet above the river, gives you great views of the surrounding area including the town of Bucksport and the countryside. There are also some informational placards in tower telling you what you’re looking at and some interesting information about the construction of both the old and new bridges as well. partially built over the course of decades however never actually saw any combat though it did house some soldiers in the Civil War and at the start of the Spanish-American war. Though it never saw combat, there is a lot to see and quite a few great stories. It was also featured on a episode of Ghost Hunters. There are several sections that have been restored and include exhibits that show day to day life in the fort and other information about it’s construction and history. Almost all of the fort is open to see, however you’ll need flashlights for some sections. 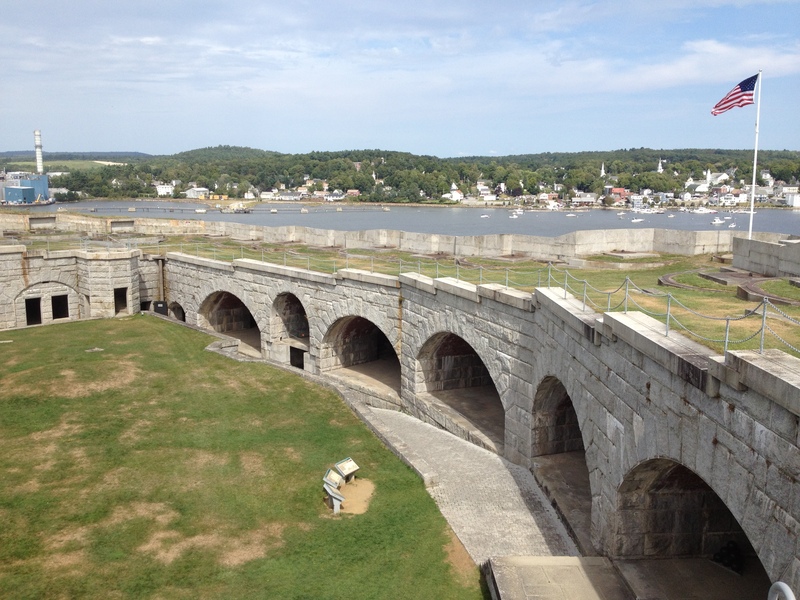 Some of my favorite highlights include the huge on site preserved cannons, the view from the top level, the restored officers quarters with authentic gear used at that time and reading about the forts construction. I was also amazed that all of the stone used in the fort was quarried and shaped using hand tools. This park is a great combination of historic and scenic attractions and should be a great spot to bring kids as well. Facilities, Fees and other information: There is an entrance fee to the park charged for each person. The fees vary based on whether you want to see the park, the observatory or both attractions. There is a also a discount if you are a resident of Maine. For updated park fees for this park and every other state park in Maine please use the following link. This park also has restrooms along with a small gift shop and museum.